According to social media giant’s management, taking Facebook Watch global also means new opportunities for creators and publishers around the world. Facebook Watch enables users discover new videos spanning entertainment, sports, news and more in a personalized Watch feed, catch up with creators and publishers they love by keeping a watchlist, or a collection of recent videos from Pages they follow, save videos to watch later in Watch as well as participate in videos. “Over time you'll be able to find new video experiences in your Watch feed, like watch parties, premieres, and videos focused on audience participation — like the new trivia game show, Confetti. And we'll make it easier to find live videos so you can discuss the big moments as they’re happening,” a statement from Facebook reads. The service was launched in the US a year ago to give people a place on Facebook to find shows and video creators they love and to start conversations with friends, other fans, and even creators themselves. Over the past year, Facebook has made the experience more social — like making it easier to see which videos your friends have liked or shared, creating shows that have audience participation at their core, and opening Watch to videos from Pages. “These updates have helped people discover and engage more deeply with videos they love — from Red Table Talk with Jada Pinkett Smith, to beauty mogul Huda Kattan’s behind-the-scenes show Huda Boss, to live Major League Baseball games. Every month, more than 50 million people in the US come to watch videos for at least a minute in Watch — and total time spent watching videos in Watch has increased by 14x since the start of 2018. We're excited to bring Watch to everyone around the world and invite you to join in the action in our new video destination,” the statement adds. The Guinness Nigeria Plc has delivered a solid performance in the year ended 30 June 2018 as revenue increased by 14 per cent from N125.92 billion in June 2017 to N142.98 billion, reports ITREALMS. The results, which were released to the Nigerian Stock Exchange (NSE), also showed improved operating margin, as benefits from the company’s productivity program more than offset sustained cost pressures. “Improved operating performance combined with lower finance charges have helped us deliver an overall PAT increase of 249% during year”. The President of the African Development Bank, Akinwumi Adesina, has taken the case for expanded partnerships and investments in Africa to the Netherlands, reports ITREALMS. 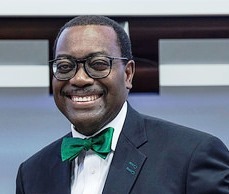 Adesina, who is on a three-day visit this week, met with government officials and private and public sector business leaders and affirmed the accord between the Bank and the Dutch government’s development agendas and foreign policy. The year 1982 began with a revolutionary upheaval in Ghana: a group of young and radical military officers—some retired, others still in service—appeared to have seized power! It soon became clear, however, that what took place—or was taking place—in Accra was not a classical military coup d’etat, but a popular armed uprising led by a loose assemblage of Leftist groups and individuals, military and civilian. Appeals went out from Accra for revolutionary solidarity. Favourable responses came from across Africa—including Nigeria—and beyond. In particular, at least one response came from Calabar. My spouse and I had just been re-instated as lecturers in the University of Calabar (UNICAL) after a forced absence of about three years. The Calabar Group of Socialists was vibrant. So was the Democratic Action Committee (DACOM), also based in Calabar. The Left in Calabar was in the strongest period of its post-Civil War history. Meetings and consultations were held and I left for Accra, Ghana. I entered the country as a “journalist”. Late in the evening of the day of arrival, I went to the restaurant. There I saw only two male guests, sitting together, talking animatedly. Ostensibly, they were waiting for their orders. One was black, the other was white. 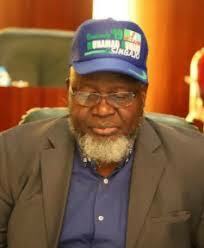 The blackman I knew very well: he was Comrade Eskor Toyo who had left Calabar a few days before me. I thought the other person, the “whiteman”, was an enterprising or curious journalist. On enquiry, he turned out to be the famous Samir Amin whom I had encountered, through his works, about seven years earlier. Since then, those works had contributed significantly to the resolution of some of the critical questions that confronted me as a young revolutionary socialist and Marxist. I was elated, and with this rose my preliminary assessment of the potentials of this latest revolutionary rising in post-colonial Africa. I was elated because attracted to what was happening in Ghana were several serious revolutionaries, including Eskor Toyo and Samir Amin, who were long-standing revolutionary Marxist intellectuals and well-respected African economists and political economists. Eskor Toyo, then 53, was a Nigerian; Samir Amin then 51, was of Egyptian and French parentage. Eskor Toyo had also been involved, for at least three decades, in grassroots workers’ and popular education, mobilization and organization as well as in the labour movement. Here they were, sitting together and discussing an ongoing revolutionary rising on the African continent—not too far from where the event was being coordinated. Because of the nature of my own presence in Ghana, I could not make any contact at that point. I withdrew from the restaurant and initiated an alternative arrangement. Eskor Toyo died on Monday, December 7, 2015, aged 86. Samir Amin died on Sunday, August 12, 2018, also aged 86. I had earlier said that Samir Amin, through his books, essays and articles, contributed significantly to the resolution of some of the questions that confronted me as a young Marxist and socialist. That critical period of my development can be taken roughly as the second half of the 1970s, that is, when I was between 29 and 34 years old. I shall pick out two of the questions and build what I have to say around only one of Samir Amin’s “early books”. That book is Imperialism and Unequal Development. And the two questions are: What Marxism is (in coherent and accessible summary) and The Lessons of Cambodia. Lenin had written in his Three Sources and three component parts of Marxism (1913) that there were three “sources” and (hence?) three “component parts” of Marxism. These three “sources-components” he gave as political economy, philosophy and socialism. But having emerged, Marxism, in the words of Lenin, became “integral”, “harmonious”, “irreconcilable with any form of superstition, reaction or defence of bourgeois reaction” and “omnipotent because it is true”. This was the language of a revolutionary combatant who had no business being in the field, let alone leading the struggle, unless he or she was “certain” and could instill this “certainty” in the fighting forces. In that critical period, that is, about 40 years ago, I could make pronouncements on Marx’s and Marxist positions on political economy (or rather, critique of political economy), philosophy and socialism. I could give lectures on beliefs and actions that were not only incompatible, but also irreconcilable, with Marxism. But having apprehended what Marxism was not, what, in precise terms, was it? In Imperialism and Unequal Development, published by the Monthly Review Press in 1977, but getting to me in January 1979, Samir Amin gave me, not an answer, but a direction in which to seek an answer: “The critique of economism has allowed the rediscovery of the unity of Marxism, which is neither an economic theory, a sociological theory, nor a philosophy, but the social science of revolutionary socialist praxis”. Samir Amin wrote this at the age of 45, about 20 years after his doctoral dissertation on Political Economy. The passage is in the Introduction to the book which itself was a collection of Amin’s essays in response to reviews of two of his earlier books: Accumulation on a World Scale (1974) and Unequal Development (1976). In the year that I received Imperialism and Unequal Development, I started drafting my first collection of essays titled The Tragedy of the Nigerian Socialist Movement. That is also the title of the main essay in the collection. It was an angry review of the movement’s “unseriousness” in the politics of Murtala Mohammed/Olusegun Obasanjo transition to civil rule (1975-1979). The collection also carries a two-page review of what was happening in Cambodia. I asked: How did the heroes of 1975 become “mass murderers” and “villains” by 1978? Why was the condemnation of the Khmer Rouge revolutionaries (whose “face” was Pol Pot) global and total: From East to West (except China); from North to South, from capitalists to socialists and communists, and cutting across global ideological and political divides—at the height of the Cold War? What were the Cambodian Khmer Rouge revolutionaries trying to do? What type of society were they trying to build? What were the sources of their grave errors? I could not get satisfactory answers to these questions until I read Samir Amin’s The Lessons of Cambodia, the eighth essay in Imperialism and Unequal Development. His analysis, which was published in the second year of the revolutionary regime, rested heavily on his critique of imperialism and economism. Now, that the regime was fighting imperialism everyone knew. But that it was also fighting economism was an entirely new insight for me in 1978/79. 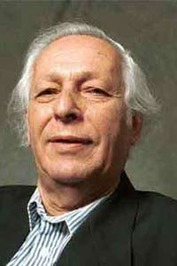 In The Lessons of Cambodia, Samir Amin severely criticized the economism of “Stalinism” and other Soviet-type transitions to socialism. Beyond this, Samir Amin also criticized “Trotskyism”, a frontline enemy of “Stalinism”, for not being able to transcend the problematic of economism which a college dictionary defines as a “theory or viewpoint that attaches decisive or principal importance to economic goals or interests”, thereby devaluing other factors of revolutionary transformation such as culture, de-alienation, equality, and political consciousness. One particular element of economism which came under Amin’s hammer was popularly expressed as the need for socialist transitions “to aim at catching up with the West”—a notion that he classified under “vulgar Marxism”. With Samir Amin’s analysis, I immediately saw the sources of Khmer Rouge’s monumental difficulties and tragic errors of voluntarism. I could then also explain the equally tragic global convergence of opposition which Khmer Rouge’s attempted transition to socialism through the rejection of the Soviet road of “catching up”, attracted. I saluted Samir Amin. Thereafter, I have saluted him several times—the last time being in my article of December 1, 2011 entitled Time to recall, and to honour. Now, the man is gone. Who replaces Samir Amin? As part of its efforts to educate and enable Nigerians to reduce reliance on cash, Visa, the global leader in payments, today announced the launch of the Cashless Lagos Hackathon in partnership with Lagos Innovates, an initiative of the Lagos State Employment Trust Fund (LSETF), reports ITREALMS. The three-day event, which is scheduled to hold from 14 September until 16 September, will seek to digitize payments for Micro, Small and Medium Enterprises (MSMEs) and will be delivered by Passion Incubator (www.passionincubator.ng). The hackathon is open to software developers, programmers, coders, data specialists and designers who have the capacity to create lasting technology based financial solutions for MSMEs who are beneficiaries of LSETF. Participants can access lagosinnovates.ng/hackathon for details on the hackathon and have until 11 September 2018 to submit their applications. Selected applicants will meet with the MSMEs on the first day of the hackathon to understand their pain points before the commencement of the hackathon. Through the hackathon, participants are required to come up with solutions that would allow the business owners to receive payments, make bulk purchases and keep inventory of their transactions, thereby allowing access to bank loans and government grants. Six teams will present their ideas to the judging panel constituted of representatives from a cross section of business and payments experts drawn from the public and private sectors. Three finalists will be selected based on impact, design, innovation, and customer validation. The winning teams will receive ₦2million, ₦1million and ₦500,000 grants respectively to be used for the development of the solutions, courtesy of Visa. Commenting on the partnership, the Executive Secretary LSETF, Akintunde Oyebode said; “We are pleased to have Visa on board with us for the second edition of our Hackathon. Lagos State is the economic capital of Nigeria and the home of Africa’s leading startups. Our partnership with Visa puts us in a unique position to help uncover, support and apply emerging technologies to some of the biggest transaction challenges faced by entrepreneurs. We are excited by the possibility of leveraging technology, especially digital channels to improve our current cash-based economy”. 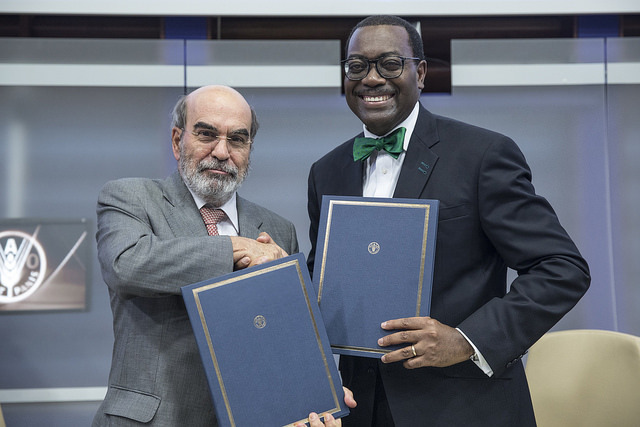 Nigerian off-grid energy investment company, All On, has announced its partnership with the African Development Bank (AfDB); the Nordic Development Fund (NDF); Global Environment Facility (GEF); and Calvert Impact Capital (CIC) towards a $58 million first close for the Off-Grid Energy Access Fund (OGEF), reports ITREALMS. OGEF, which is managed by LHGP Asset Management (LHGP), an alternative fund manager with offices in Lagos, London, and Nairobi, is a dedicated debt fund for off-grid energy companies and is part of the AfDB-sponsored Facility for Energy Inclusion (FEI). The FEI is a $500 million finance platform designed to provide loan facilities in both local and hard currencies to support innovative energy access companies. OGEF achieves its first close with equity and debt commitments of US $58 million from All On, AfDB, NDF, GEF and CIC, and the structuring process and investments build on support from Shell Foundation, DFID and USAID. FEI OGEF has been designed to provide a flexible range of loan facilities in predominantly local currency, to companies in the household energy access sector including distributors, manufacturers, end-user credit providers and other businesses supporting the ecosystem. This first close follows the official launch of FEI at the Africa Energy Market Place (AEMP) on July 5 and 6, 2018, where the initiative was presented to the governments’ representatives of five African countries - Côte d'Ivoire, Ethiopia, Egypt, Nigeria and Zambia - as well as leaders from the private sector and the development partner communities. The Computer Guild of Nigeria has called on the Independent Corrupt Practices Commission (ICPC) and the Economic and Financial Crime Commission (EFCC) to go after the recently resigned Communications Minister, Barr. Adebayo Shittu, reports ITREALMS. A press release issued and signed by the National President of the Guild, Mr. Wole Adedoyin after an emergency meeting in Lagos, and made available to ITREALMS, demanded the probe of former Minister of Communications. 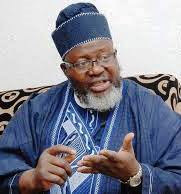 Adedoyin, who is also the National Coordinator of the Information Technology Writers Association of Nigeria (ITWAN), urged ICPC and the Economic and Financial Crime Commission (EFCC) to commence investigations and probe of Minister Shittu’s past financial activities in the Ministry. “We are fully aware that Minister Shittu awarded so many contracts when he was in the Ministry. He cannot just leave the Ministry like that without being probed before his resignation from the ministry, we have heard lots of allegations and misdeeds committed by the Honourable Minister apart from some hidden secret recently unearthed by one of his former Personal Assistants. We, therefore, demand independent probe and investigation of Minister Shittu by both the ICPC and EFCC and should be prosecuted if involved in any financial scandal in the ministry” the group said. The Minister of Communications, Alhaji Abdur-Raheem Adebayo Shittu, has resigned, ITREALMS can authoritatively report. In his reply Mr. President, Muhammadu Buhari acknowledged the letter same day and thanked him on behalf of the Federal Executive Council and Nigerians for his services as Minister under his administration. “I note with passion your past contributions to our great party APC during and after the 2015 elections,” he said, in the reply delivered to Shittu's office on Tuesday, 28 August, 2018. Buhari in a personally signed-response, reminded Shittu of his commitment to free and fair elections. “Our policy is to support all APC candidates,” he declared. He further wished Shittu well in his ambition to be the governor of his state, insisting that INEC has been directed alongside security agencies to conduct free, fair and transparent elections in 2019. The banking software company, Temenos has unveiled the Temenos Learning Community (TLC) Engine, the latest addition to the TLC training suite, reports ITREALMS. TLC Engine, ITREALMS gathered, helps banks to reduce operational risk and costs, monitor their regulatory compliance better, and increase staff engagement; it could be deployed on the cloud or on premise and integrates seamlessly with Temenos banking software products, and could also be integrated to third party systems, which a bank may be using. TLC Engine is specifically designed for banks, to serve as a foundation for change management and training activities. With TLC Engine, financial institutions can record, update and cascade their unique business processes, using the Temenos Standard Operating Procedures (TSOP) as a basis. TLC Engine can then utilize these processes to support the ongoing training of staff across all of a bank’s organization. TLC Engine also enables banks to train, test and certify their teams in Temenos software solutions, offering access to the official Temenos content and certification processes found across the Temenos Learning Community suite of products. Following the launch, Byblos Bank, the third largest bank by assets in Lebanon, became one of the first clients to sign for the new offering. Lebanon-based Byblos Bank is a leading financial institution with operations in Armenia, Belgium, Cyprus, France, Iraq, Nigeria, the United Arab Emirates, and the United Kingdom. Byblos Bank will use TLC Engine to help drive and support change in its current digital transformation project that is delivering a new, upgraded Temenos T24 core banking platform. The governorship candidate of the Hope Democratic Party (HDP) in the forthcoming Osun State Governorship election, Mr. Wale Adedoyin, has promised to revive the state’s economy, reports ITREALMS. Speaking at the state capital, Osogbo, Adedoyin said he will not only revive the state’s economy but will work towards providing more jobs for the youth. “I want to focus on the agriculture and tourism industries. We will also create enabling and conducive environment for private sector to flourish. I don’t just want to create just jobs. I want to create the opportunity for the private sector to flourish and to create jobs,” he said. Corrupt activities, he said, will not be tolerated, stressing that its high time citizens inculcate a culture of hard and honest work and declare zero tolerance to corruption. No person will be allowed to loot or steal that which belongs to the people of Osun State. The power of technology and fashion have been combined in a thought-provoking project that demonstrates how data could transform African cities, as technology leader, Siemens used data from the cities of Lagos, Nairobi and Johannesburg, waving same into unique fabrics, reports ITREALMS. The FABRIC - launched in Johannesburg on 23 August - showcased how digitalization of the industrial world is fast becoming the biggest transformation of our time, and highlights how data combined with smart technology will ensure that tomorrow’s cities are more connected, efficient and powered.